A stroke occurs when the blood supply to part of the brain is blocked or when a blood vessel in the brain bursts. A stroke is a medical emergency. Prompt treatment is crucial. Early action can minimize brain damage and potential complications. Do you know the signs of stroke and what to do? Take a virtual tour of the Marcus Stroke & Neuroscience Center at Grady Memorial Hospital. When it comes to treating stroke every second counts. Now researchers at Emory University School of Medicine say stroke patients cared for at high volume centers receive faster treatment and fair better with overall outcomes than stroke centers dealing with a lower volume of cases. "Centers that perform a large number of endovascular stroke therapies are more efficient and better at it," says Rishi Gupta, MD, associate professor of neurology at Emory University School of Medicine. "This translates to healthier stroke outcomes and better chances of improved functional recovery." Gupta served as principal investigator of the study, which was published in the May 2012 issue of the Journal of NeuroInterventional Surgery. Gupta sees patients at the Marcus Stroke and Neuroscience Center at Grady Memorial Hospital - one of the leading centers in the country at rapid treatment and restoration of blood flow to the brain for acute stroke. "This study highlights the importance of patients coming to the hospital quickly with stroke symptoms and centers being quick at achieving restoration of blood flow (reperfusion) as is done with myocardial infarction," says Gupta. 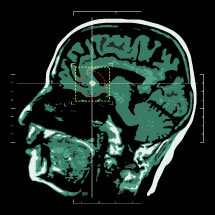 Researcher defined stroke centers as high volume if more than 50 such procedures are carried out a year. Every 40 seconds, someone in the United States has a stroke. It occurs when the blood supply to part of the brain is blocked or when a blood vessel in the brain bursts. In either case, parts of the brain become damaged or die within minutes. Stroke is the third leading cause of death in the Southeast. The results of the study are based on the findings from 442 patients treated with endovascular therapy involving clot-busting treatment provided inside the brain via a catheter without the need for surgery at nine stroke centers between September 2009 and July 2011. All patients reportedly arrived at the centers within eight hours of the start of their symptoms. With an average age of 66, all patients had a blood clot in a major brain artery, which had cut off blood supply and caused their stroke. From door to needle time, which involves insertion of a catheter through the groin following a CT scan of the brain, and injection of the clot buster drug tissue plasminogen activator - tPA that dissolves clots and restores blood flow to the affected artery, the average time to complete the procedure was 95 minutes. Researchers say 120 minutes is the critical treatment window considered essential for boosting the chances of survival. Nearly half the patients were treated in under 95 minutes, with about 80 percent of those treated at high volume centers; the remaining 20 percent were treated at low volume centers. Patients treated at high volume stroke centers were 86 percent more likely to survive and 82 percent more likely to have blood flow successfully restored in the affected artery. "Our data shows delays in reperfusion are critical. Patients need to know the importance of seeking medical attention at the very onset of any stroke symptoms, says Gupta. "For every 30 minutes of delay, the chances of survival fall by 12 percent." The Marcus Stroke and Neuroscience Center at Grady Memorial Hospital is a Neurocritical Care Unit for acute, time-dependent neurological emergencies. Established by a multi-million dollar gift from the Marcus Foundation, it incorporates the most advanced equipment and a host of ground-breaking advancements in method and facility design. It is the first of its kind in the region and accepts patients from across the Southeast and beyond. Race — African-Americans have higher risk of stroke than people of other races.